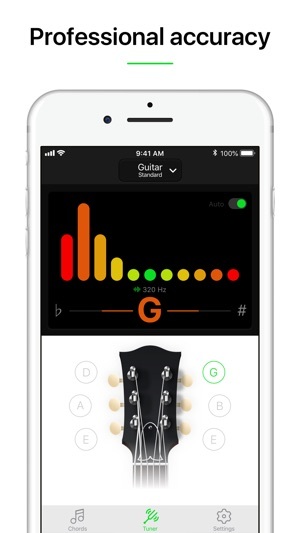 You are looking for an app that will help you to tune your guitar? You want to discover new chords? Don’t waste your time, Tuner is the app made for you! 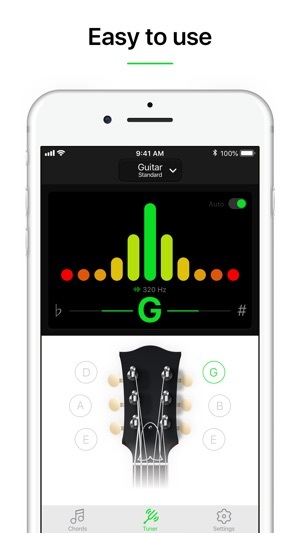 With Tuner, you can easily, quickly and accurately tune your guitar, bass or ukulele anywhere, anytime - all you need is your phone and your instrument. That’s all. You don’t need any other accessories to enjoy playing music! 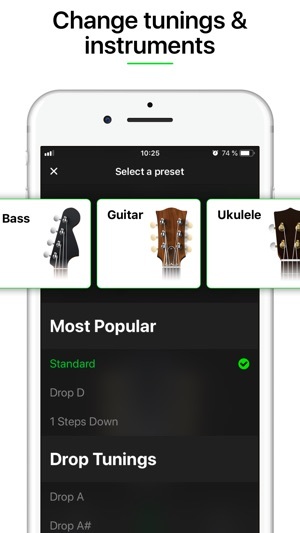 This app is perfect to learn how to tune your instrument quickly and whether you are beginner, intermediate or advanced, you can always choose the best mode for you: manual or automatic. Moreover, we provide you a tuning range from Ab1 (51.91 Hz) to D5 (587.32 Hz)! But wait, we have something else for you! 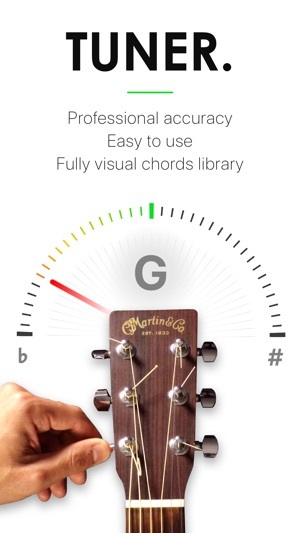 Thanks to a huge library of 2640 chords, Tuner offers you the possibility to discover and play many new music notes. Need one chord in particular? Don’t lose your time and use directly the search function! 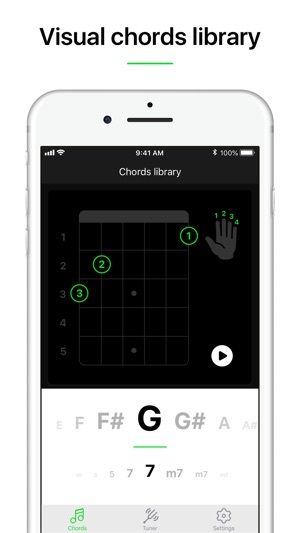 This useful library also permits to visualize all of your chords. And don’t worry, we made the app intuitive and easy to use so you can learn quickly and in good condition. 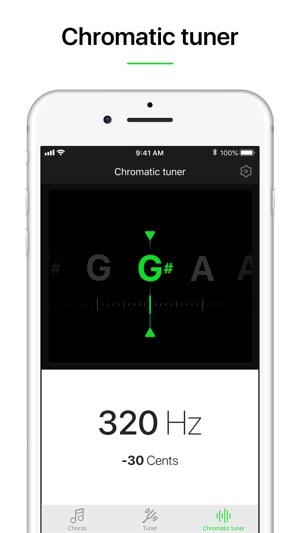 Tuner is the app you were looking for to express yourself musically. Try it, and impress your friends with your guitar skills! 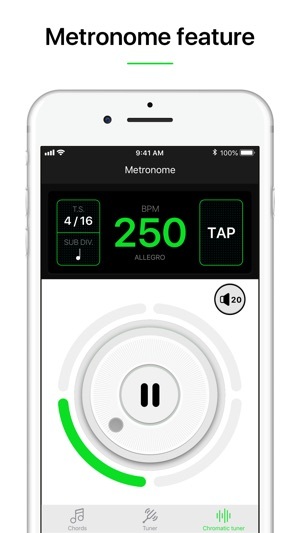 Do not wait any longer and discover Tuner, the application that will make your musical life easier! Wow, an developer who forces you to start a free trial, UGH! Saving everyone a big step. Go to settings, click on iTunes and app->then click on your name at top-> then view Apple ID from the pop up list. From there click on subscriptions and you can manage from there. Also be sure to click on purchases to find out how many times they have screwed you over and charged you. To the mod/Alice. I am sure I am keep using the free version but all I want is my 3 subscription fees back including tax. If you call this a business where the bulk of your reviews are from angry customers (which you want to still use your app mind you) you have a very short lived business model. I hope you can sleep well at night knowing you can not even take credit for half your apps because people will be looking for you. I loved the simplicity of this app! It was quick and free. I’ve used it for years and recommend it to all of my friends. But just recently I purchased a new phone and hadn’t used this app since then until about 3 weeks ago. I downloaded it again for free, saw they had made upgrades but wasn’t terribly interested because I just needed it to tune my guitar. After tuning I closed the app out and haven’t used it since. This morning I entered in my new debit card information for iTunes and was charged $7.99 my Guitar Tuner. I was confused and frustrated to come here and read the same thing happening others. Then to read they are deferring this to a simple “it will only subscribe you if you chose to purchase it”. Never again will I use this app.